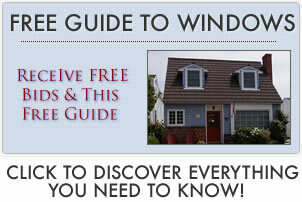 Our Window world reviews offers consumer, contractor and industry insider opinions on this company. Find out what these windows cost, any issues that they arisen, customer service, bids and much more information. Received estimates from Window World and Castle – ended up getting nine single hung windows and three sliding doors installed by Castle. I only placed my order last month and they were all custom. I chose Castle because they were one of the companies that assured me they would have the installation completed within a month. They called a week before installation to arrange a date and time. We agreed the installers would arrive anytime from 7am to 9am and they were here at my home at 8am. I was a little shocked to find they had driven over two hours from PA. They only sent out two installers – both were friendly and professional throughout the installation process. They did the entire job within six hours, including cleaning the area before they were finished. I was very happy with their service. Before they left, they took me around the property and let me check each window and door, they also showed me how they work before letting me sign off on the job. All I can say is my experience with Castle has been a good one from the speed and efficiency of the manufacturing process to the knowledge and professionalism of the installers. An excellent experience all round. Definitely recommend them over what I’ve heard about some of the Window World installation. See all of our Castle windows reviews. They have 3 national contracts where each company provides a low, med. and upper end vinyl window. The $189 price is their low end. The idea is to give consumers the lowest price on 3 different brands. I think their weak point lies in finding reliable and qualified installers that will work for the wages they offer. Their strength lies in their buying power — they can offer homeowners a decent window at a lower price point than many other regional/area distributors. For example, they offer the Alside Sheffield with installation for $349, which is a fantastic price. Other places would charge $450-$600 for the same window. But their $189 product is not a good window. They seem to be well organized but service and quality will vary by franchise. So check out the local dealer to make sure that they offer quality and have a solid reputation in the area. This isn’t to criticize them, but I’ll explain how they operate in this area at least. My notion is that, since they are franchised, it’s similar in other cities, although I can’t say this is definite. They attract customers with their lowest price bait. Once they get to your house, they add additional costs to get to what most people would consider normal installation. It’s not unlike a car dealership that lures you in with bargain basement deals that are really not a standard car anyone would drive off the lot. To be fair, these tactics are not inherently “wrong” since from everything I’ve heard they aren’t deceptive during their sales pitch in the home. They spell out everything for the homeowner when answering questions and writing up the contract. They are big enough that they attract good installers, even though the installer pay is not very good. Their approach is effective though and they sell lots of windows. This is their $189 product: the entry level vinyl Alside installed into a wood opening. We got a quote from Window World of St. Louis and it came with a lifetime warranty for both labor and parts. We decided to go with their high end windows for the larger ones and the mid level windows for the standard sizes. The windows seem fine in thickness, weather stripping, chambers, etc. I checked them out on the BBB and they had 3 complaints lodged against them, but all had been resolved. I also checked them out on the BBB nationwide and they seemed good nationally. At least here their installers are all contracted out, but they haved used the same guys from when they started servicing this area. Here are some things I know about the company. They say they are as good as national brands, but I don’t thing their hardware comes close. I had a guy come out and he got caought up in several lies such as making the windows they sell. The low end ones are Alside, but privately labeled. Also, they say their frame is foam filled but it is only on the frame’s outside. And they claim they have a window that is the lowest price on the market, but it really isn’t that price, not if you want something that actually protects your home from the outside elements. We just got the installtion done and spent just over $6,000 for 11 windows and 1 door. There was a minor problem during shipping but they got it ironed out. There were some is issues with the installation; poor caulking and some color mismatches with the mortar. The installation actually took a full 3 days to complete. I have had to do some touch up work around the windows though to get everything looking just right. The windows themselves look good and work just fine thus far. We can now touch the window glass without it being hot. We did get argon fills. The sliding door presented a few problems that need a frame build but now there is a 1/2″ gap b/n the foundation and frame. So now there is a tiny space for bugs and whatnot to get in. Overall, we are happy with the windows and pricing. I would recommend them to other homeowners who want a mid grade product and don’t mind doing some touch up work.